I'm back in Sumatra for the second time in a month. My taxi pulls up into an industrial part of town, where the Wildlife Conservation Society's Wildlife Crimes Unit greets us. The smell of seafood lingers in the air as we walk towards a warehouse. Police in military fatigues stand around outside. As we enter the building I notice a white board on the right. Names of hunters are listed on the left with dates, times and the amounts they dropped off. One hunter going by the name of Joni delivered 10 live pangolins in one day with a total weight of 38.3 kilograms (approx. 84 pounds). We are then escorted past two shipping containers towards the back of the warehouse into a separate room. Sixty multi colored poultry crates line the floor, prison cells with stressed, scared and dehydrated pangolins pacing back and forth. Some curled up in fear. After absorbing that scene, I'm quickly called over to view the inside of a refrigerated shipping container, as the door opened I was hit with a cloud of condensation, it started to clear, frozen pangolins were randomly placed in plastic bags and boxes alongside sacks of pangolin scales and meat. Additional to the large container another small fridge/freezer contained another six frozen pangolins. My mind raced off to Southern China and Vietnam where these animals are consumed by the thousands for the exotic meat trade, and the scales are used in traditional Chinese medicine with the unfounded claim that they treat a variety of ailments. Sadly the pangolin has become the most highly traded mammal on the black market, and consequently one of the most threatened. 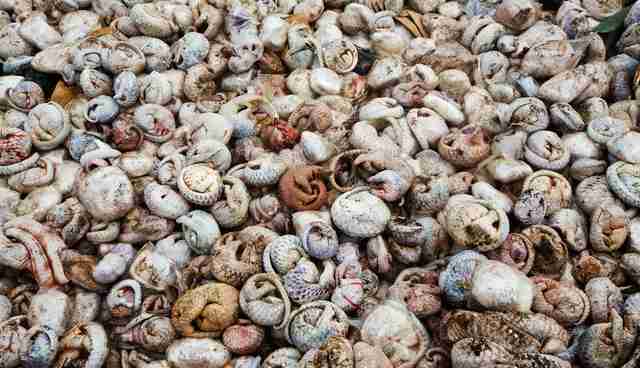 This huge seizure was a joint operation between the Indonesian National Police's Criminal Investigation Division (Bareskrim Mabes Polri), the Government of Indonesia, and the Wildlife Conservation Society's Wildlife Crimes Unit (WCU) in Medan, Sumatra. 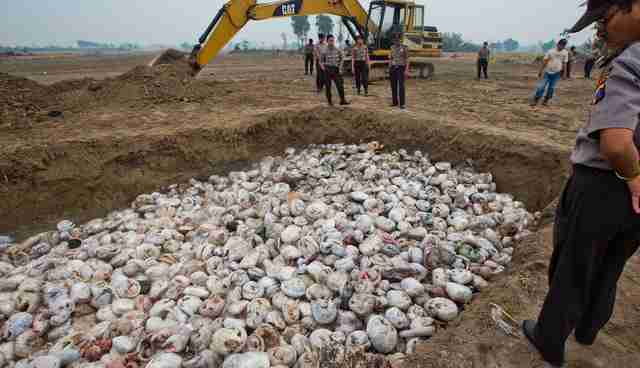 A total of 96 live animals were found included five tons of frozen pangolins, 77 kilograms (approx. 170 pounds) of scales with an estimated street value of $1.8 million. Plus 24 bear paws. The bust took place on Apr. 23, at a warehouse near Belawan port in Medan, the largest city on the island of Sumatra. 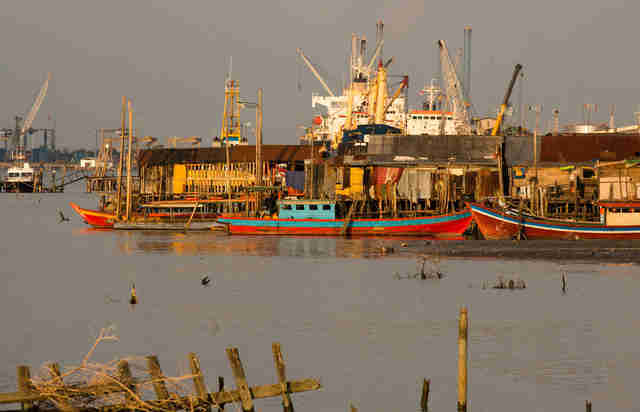 Belawan port has a reputation for being a smuggling hub for illegal wildlife trade in Sumatra. 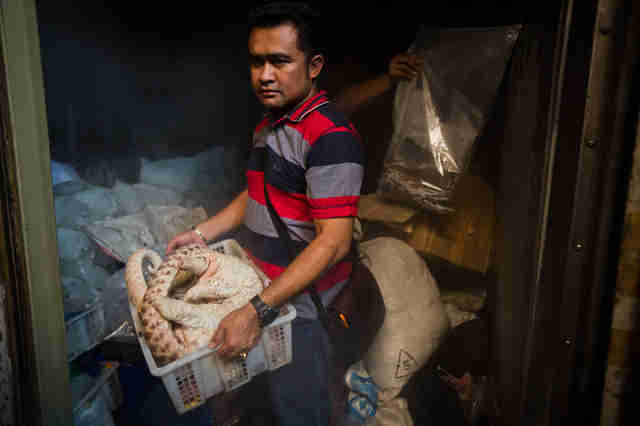 The trader, identified by the initials SHB operating a seafood trading company, by the name of UD Sumber Laut Utama, sourced all the pangolins from local hunters/traders in Aceh and North Sumatra, bordering the Leuser ecosystem. SHB is now under arrest, pending a court case. 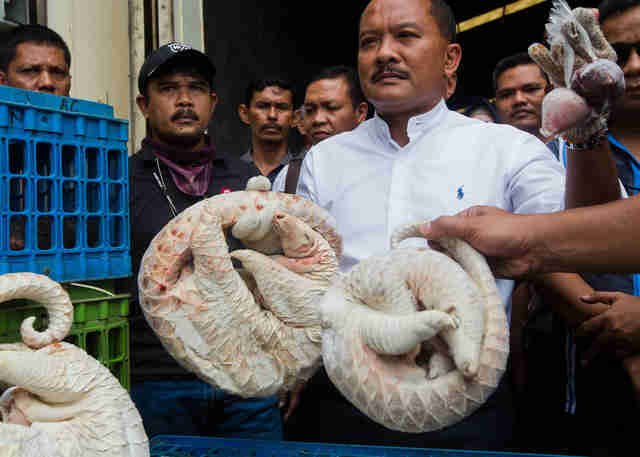 Under the Indonesian law, trafficking of pangolins and their parts or by-products is punishable by a maximum penalty of five years of imprisonment and a maximum fine of $10,000. 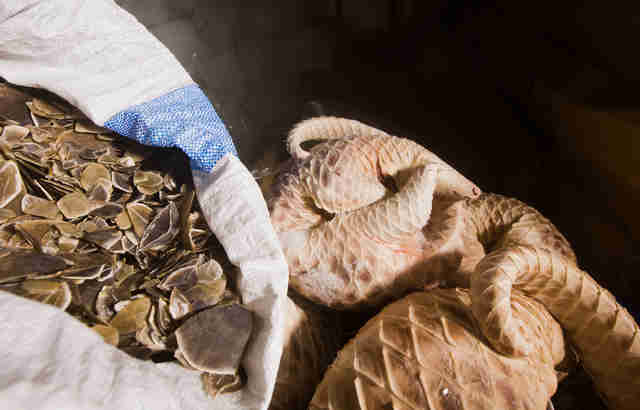 In recent years, the price of pangolin has increased sharply in the international market, driven by demand from China. Based on current black market prices, the value of the seized shipment is $1.427 million. 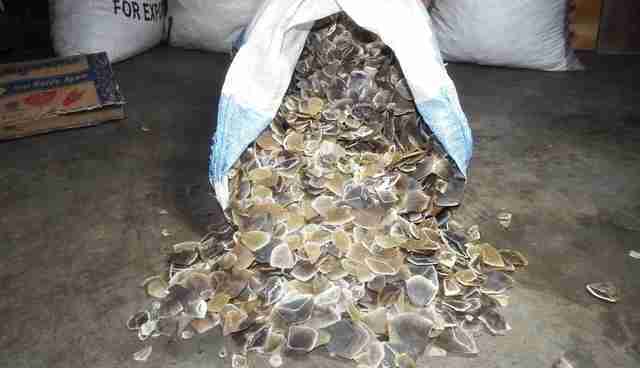 Pangolin scales (considered to have healing qualities by traditional Chinese medicine practitioners) are valued at $3,000 per kilogram, pangolin meat (considered a delicacy) at $300 per kilograms, and live pangolins at $992. 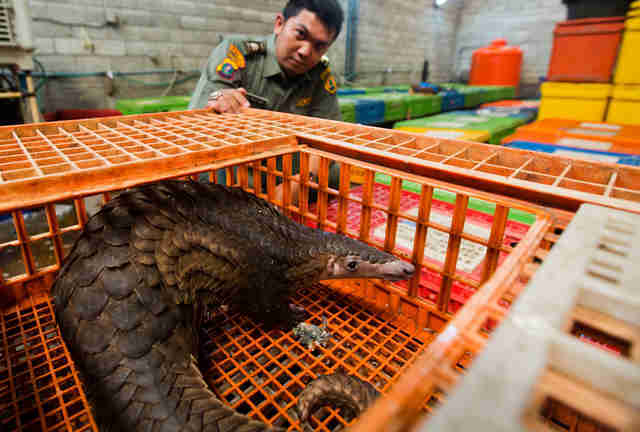 Smugglers also ship pangolin innards, including fetuses, for traditional medicinal purposes. Based upon evidence gathered during the arrest, the shipment was headed to China via Belawan port where the container was to be transferred to a vessel destined for China via Haiphong Seaport in Vietnam. 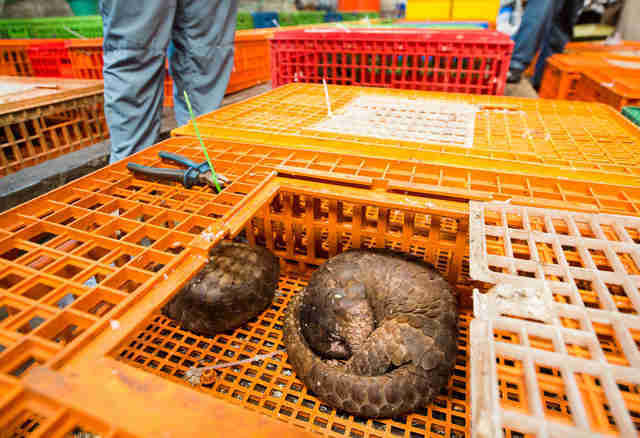 The trader also admitted to shipping live pangolins to Penang, Malaysia through the remote seaport in the past. There are eight species of pangolins (Family: Manidae) still in existence worldwide. Four of the species are of Asian origin including the Sunda Pangolin (Manis javanicus), which is listed as Critically Endangered by the International Union for Conservation of Nature. The pangolin's large scales are made of keratin, the same material as fingernails and rhino horns, and account for 20 percent of its weight. 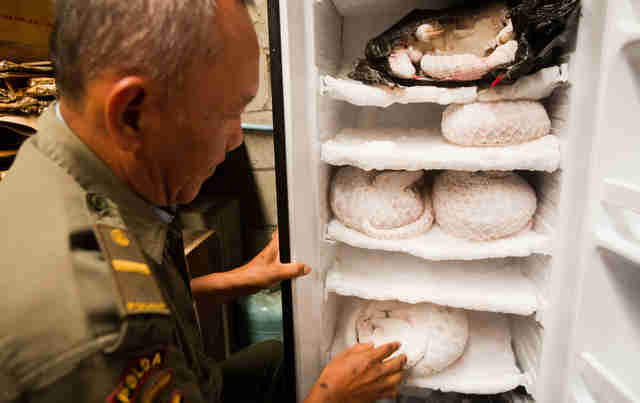 Deputy Director Special Crime, CID of the Indonesian National Police, Police Senior Commissioner Didid Widjanardi said, "Pangolins are protected under Indonesia Law. 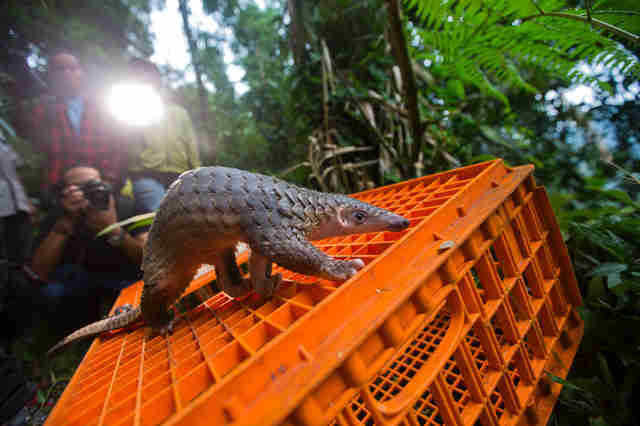 The Indonesian National Police and WCS's WCU have done a great job in tackling pangolin smuggling since 2008. We will continue our collaboration in the future through preventive actions, which is important to saving pangolins. A couple of hours later the WCS team start loading the live pangolins onto the back of a truck, making preparations to get them to the release site before days end Local press and wildlife officials joined the convey, after two hours we reach the protected forest on the outskirts of Medan. On arrival all the crates were offloaded and then carried to different locations in the forest. 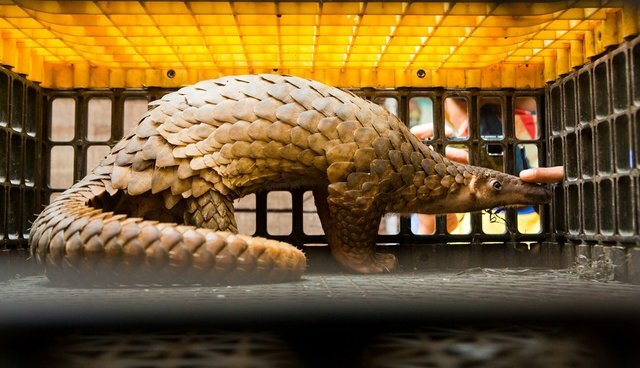 Some pangolins scurried out of the crates, others needed a helping hand. Some just curled up in balls. Before we left the release site I took one last frame. 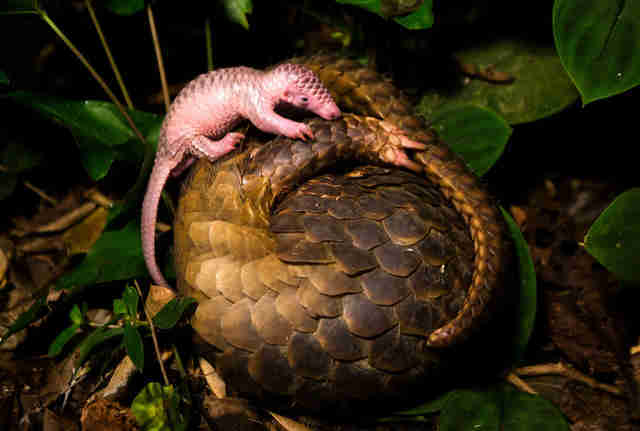 A mother and baby pangolin curled up in a ball. Their fate is in our hands. It's a time to reflect on the mistakes we have made and move to a more sustainable and frugal way of life - for the future of all living creatures, including ourselves. Two days later I'm back in a taxi heading out to huge cleared block of land, several kilometers from the warehouse. It's 6 a.m.; upon arrival I see a pit next to an excavator. I meet the team; nothing really prepares me for what I'm about to see. As I approached the side of the pit, I'm left speechless. 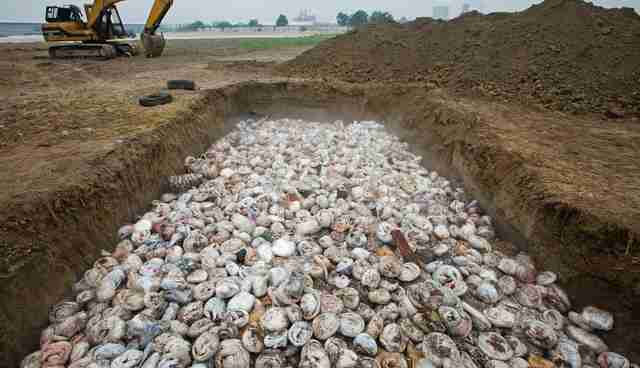 Thousands of dead pangolin bodies, some frozen, others defrosted and some in plastic bags. 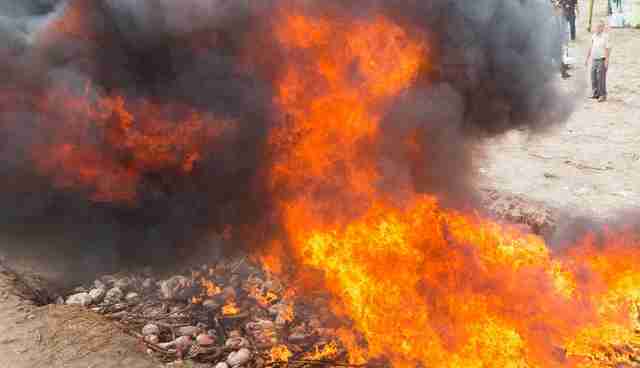 A spokesmen from the police said that pangolins were four to five deep. According to WCS, I was looking at least three, possibly four thousand in total. 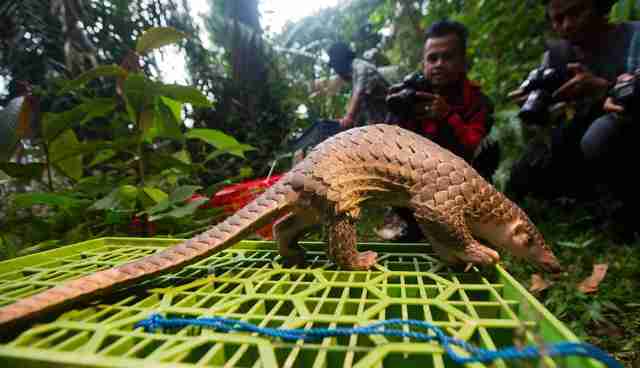 At 9 a.m. the National Police arrived ahead of the Minister of Environment and Forestry Siti Nurbaya Bakar and after a brief ceremony the pangolins were set a light. 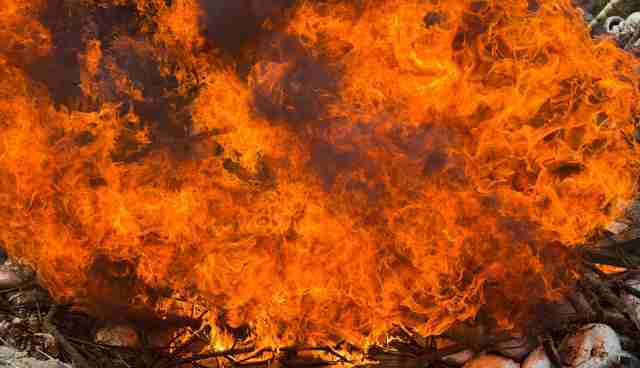 My taxi pulled away from the scene, still trying to comprehend what I had just witnessed. Help us in spreading the word about the plight of the pangolin by sharing this article, and letting more people know, before the pangolin is gone. Other organizations that are working to raise awareness of the pangolin include Save Pangolins and International Union for Conservation of Nature (IUCN) Species Survival Commission Pangolin Specialist Group.